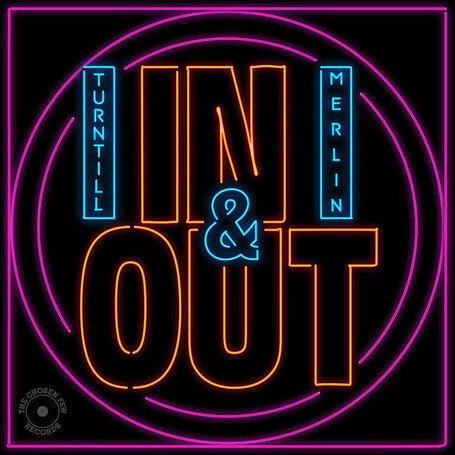 The Chosen Few - Records proudly presents you the latest escapade of TURNTILL & MERLIN: "In & Out". Inspired by the disco sound of the 80's the two DJs and producers conjured a track that will delight not only B-Boys and B-Girls. The driving breakbeat harmonizes perfectly with the colored disco keys. Refreshing vocal samples give the work an additional ease. A real feelgood-maneuver, which is interpreted on the five track strong maxi-single four more times again. The collaborations prove, that the boys have their blinders long lost. Their guests KROME (Switzerland), JAYL FUNK (Germany), RORY HOY (England) and PULPFUSION (Switzerland) lead the start of imaging electro break on through to the youngest heir to the disco sounds. Translated by Soulsugar's PG aka Aika Beats.